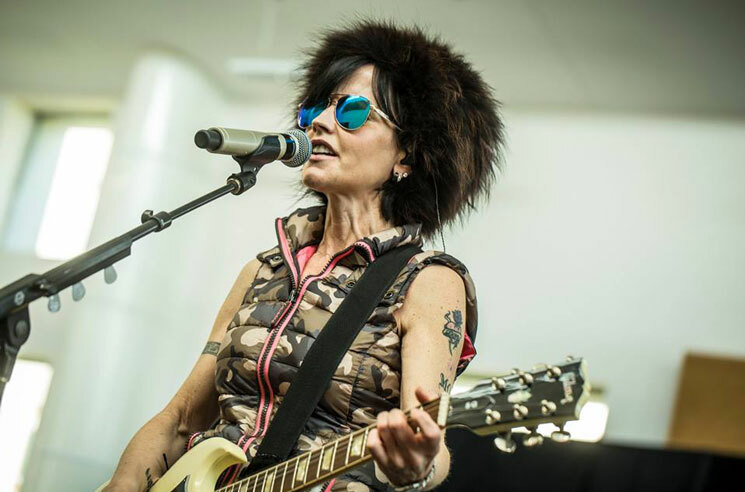 The music world was rocked by the sudden passing of Cranberries vocalist Dolores O'Riordan yesterday (January 15). And while the cause of death has yet to be revealed, police are not treating the singer's death as suspicious. As the BBC reports, a police spokesperson said law enforcement was called to a hotel in Park Lane yesterday at 9:05 a.m. GMT, where "a woman in her mid-40s" was pronounced dead at the scene. O'Riordan's PR agency confirmed her passing a statement upon the news breaking, noting that she was in London for a short recording session. Police also confirmed to the media that a report was being compiled for the coroner's office to investigate the cause of O'Riordan's death. O'Riordan was set to record vocals for a cover of the Cranberries' hit "Zombie" with Bad Wolves, a metal group featuring former members of Divine Heresy, Devildriver, God Forbid, and Bury Your Dead. "When we heard she liked our version and wanted to sing on it, it was the greatest compliment a new band, or any band for that matter, could have received," the group's Tommy Vext wrote in a statement. "Our hearts are broken that we were not able to see this collaboration through and our deepest condolences go out to her family, friends, loved ones and fans in Ireland and around the globe." A funeral for the singer is set to take place in Ireland in her hometown of Friarstown, in Limerick. A book of condolence was also opened in her hometown today at the city council's headquarters.